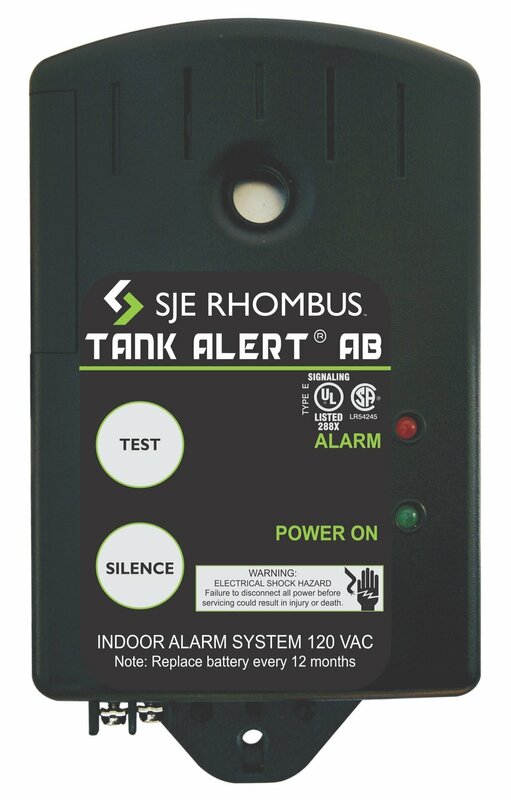 The Tank Alert® AB (auto-reset, battery backup) indoor alarm system provides audible/visual warning of threatening liquid level conditions in lift pump chambers, sump pump basins, holding tanks, sewage, agricultural and other waste applications. The horn can be silenced, but the alarm light remains on until the condition is remedied. Once the condition is cleared, the alarm will automatically reset. A green “Power On” light indicates 120 VAC primary power to the alarm. If primary power fails, the alarm system continues to work due to the 9VDC battery backup feature (battery not included). Low battery chirp feature indicates when battery should be replaced.